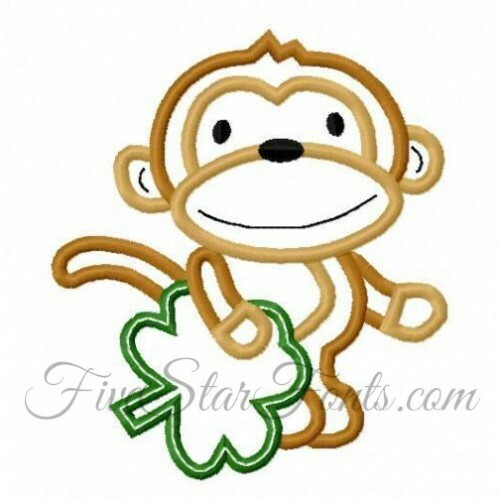 I just love this cute Monkey, don't you? 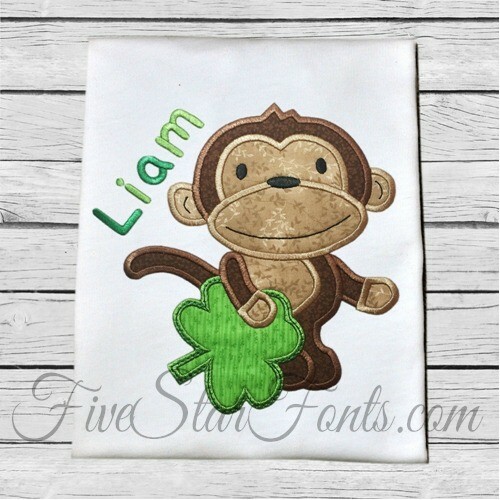 Perfect for St Patrick's stitching. Simple, Fast and Easy - Just 2 pieces of fabric! YAY! We used our Chunkster Embroidery Font for Liam's name above. You can find the link in 'Related Products' tab above.